Still on a high from a week at Le Mans, one impression that has come away with me from 2018 is the range of sound between the GTE Pro class. 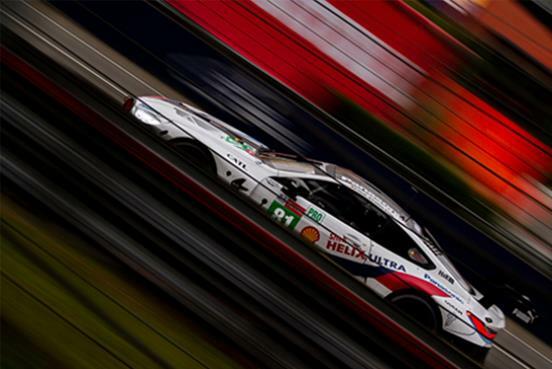 With two new cars; the Aston Martin Vantage GTE and BMW M8 GTE, there is always the wonder of what such cars will sound like as well as looking forward to the legendary sounds of such cars as the Corvette and Porsche. There was a difference for the Aston Martin this year that has been growing momentum with Ferrari also adapting to the change and BMW choosing it to enter with: turbo power. There are many technical things that could be said about the pros and cons of naturally aspirated versus turbo power. However, I am not a technical man and such comparisons aren’t really part of what I want to talk about. Panoz, Corvette and Aston Martin. 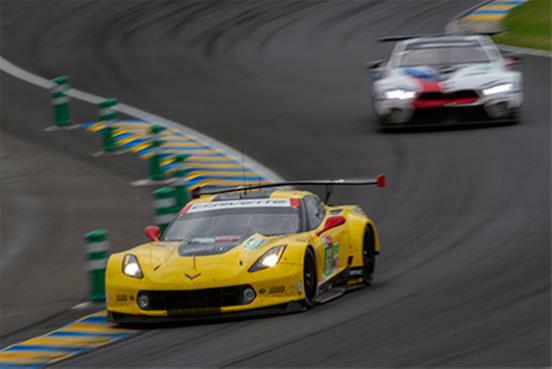 The Panoz Esperante GTLM and Corvette C6.R both featured large V8 engines which generated a huge roar as the cars belted past at full throttle which you could feel through your feet and the bottom of your stomach. The Aston Martin DBR9, however, featured Aston’s legendary 6L V12 engine which screamed like the F1 cars at the time. Bouncing off the grandstand, the sounds of these cars stayed ringing in your ears as the cars were long gone around the next few bends. 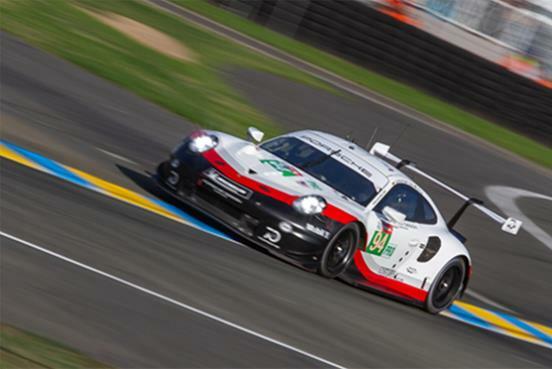 The importance of the sound is even more important to the Le Mans experience. Due to the sheer size of the circuit, you can often find travelling to different corners or areas taking quite some time, especially on foot with a chair and a bag full of questionable liquids on your back. But hearing the cars as they weave through the Porsche curves or do battle down the Mulsanne straight keeps you entertained and keeps the imagination ticking over whilst you are travelling. There is also a special feeling that some may disagree with. Many will feel the personal challenge and delight of staying awake for the whole 24-hour race and taking in every second of action whilst becoming oblivious to the delirium and sleep deprivation that is taking over their mind. I’ve been there and done it myself a few times. Now days, drinking all the beer in the world and getting up to Lord knows what until the early hours of Saturday morning and then realising you have been awake for over 36 hours straight Sunday evening isn’t even a possibility worth considering – a good nap through Saturday night in my bed definitely amplifies the enjoyment of the final stints of the race Sunday afternoon and so comes the previously mentioned special feeling – falling asleep and waking up to the sounds of the cars at various stages of the circuit, I really do find it magical and often find myself just lay there – listening. No idea what is going on, who is where or on what lap. Just taking in the sounds. It is interesting to note that Ferrari only brought the turbocharged 488 in 2016 switching from the naturally aspirated 458. Aston Martin launched their new Vantage AMR this year switching from the previously naturally aspirated Vantage and BMW is also a new for 2018 entrant. Turbocharging is gaining momentum – but how did this really affect the spectacle for the spectator? Initial vantage points on the first Wednesday session was the grandstand above the pits and the grandstand on the outside of the Ford chicane. The biggest first impression was the Corvette which was borderline painful when it fired up – utterly glorious. With that roaring past, it really felt like Le Mans again. The 911 RSR also seemed to get a bump in volume with a certain unique sound thanks to the unique 4L flat 6 naturally aspirated engine. 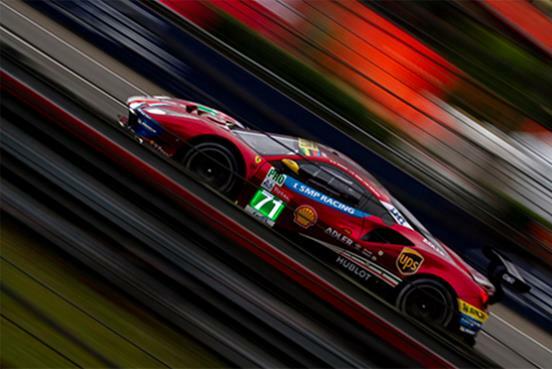 Since moving to the 488 GTE, the Ferraris have lost that classic scream but still have a subtle rumble to them with a brilliant turbo noise when they are off the throttle for the Ford chicanes (See, no technical terms here, it is just turbo noise). 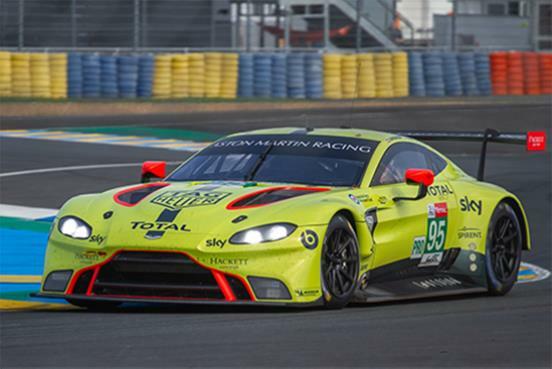 The previous year’s Vantage rumbled past, running in the GTE Am class, with the brilliant Aston V8 rumble but the new Vantage AMR really didn’t have any engine sound of note and neither did the BMW M8 GTE which left a few of us disappointed. These are two brands known for big engines and big noise – the BMW certainly. You’d expect the size of the car to house a similarly sized noise. These are two cars we really wanted to get behind as they are both spectacularly beautiful. But when you almost miss them due to having your attention being taken by a louder car then you can’t help but be left disappointed by this. This went on through the week running through my mind. Three of the newest GT cars on the grid and all hugely lacking in volume. During the race whilst sat outside the Forest Esses, I played a little game with myself of closing my eyes and guessing what car was coming based purely on the engine sound and I did quite well, apart from splitting the Aston and BMW sounds. The Ferrari again had the distinguishable turbo noise with it but a few times I didn’t even hear the other two turbo cars. And back in my bed, taking in the sounds, the Corvette and previous years Aston were easily audible but there was no chance my ears were going to pick up the turbo cars. The one in the middle of all this is the Ford GT. Powered by two turbochargers, it does make a very loud and impressive sound. It is a shining light that not all turbocharged cars are too quiet and can’t make that impressive thunder as they rumble past you. Further afield, there is also proof of this in series such as the Japanese Super GT series where the top-class engine is, in fact, a turbocharged 2L 4 pot and these cars make plenty of sound as well as creating a serious amount of speed. So, with noise being such a key component to enjoying any race live and especially Le Mans, are turbochargers the devil? Not definitely. Some aspects of turbocharged technology are technically more efficient producing less sound (I will let someone else from theracingline.net explain why) but this isn’t a steadfast rule. Whilst the first instinct may be to shout “Yes! What has happened to that glorious Aston sound? !” and I love the phrase that there is no replacement for displacement, it may possibly the best way to take the class forwards and keep competitive manufactures going racing. 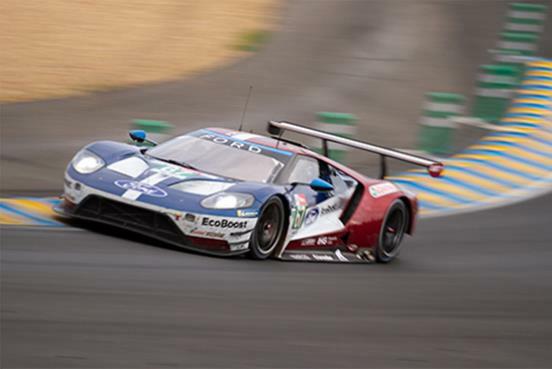 I would love to see every GT car running around with 7L V8s and 6L V12s, but I do appreciate the world these cars are needing to compete and survive in. A field of turbocharged cars might make it more difficult to form a bond with such cars and really get excited by them but sometimes we must move with the times. A quieter sound is better than no sound at all as manufacturers are forced to leave their huge engines behind and not go racing.